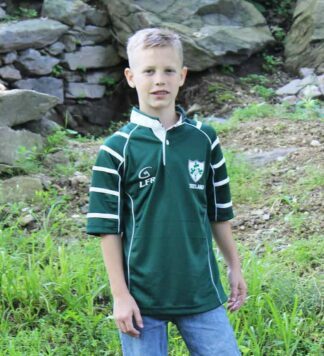 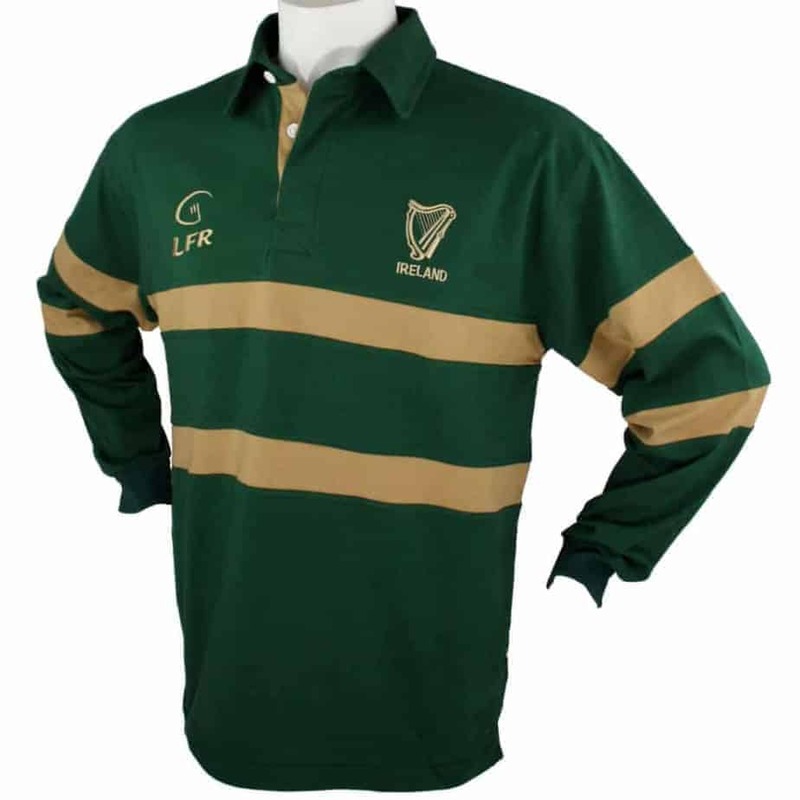 Long sleeve Irish rugby shirt with the ancient harp symbol of Ireland embroidered onto the left chest. 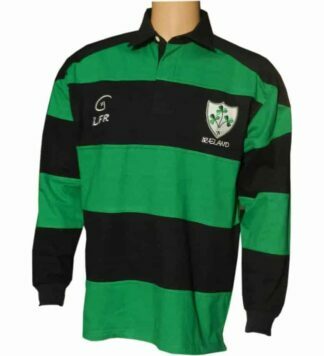 Contrasting hoops across the body of the shirt give it an authentic rugby look. 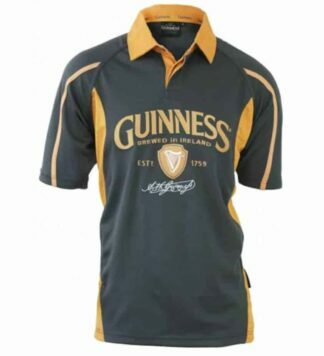 Very competitively priced for a heavy duty long sleeve rugby jersey, imported.